Boost your mood and energy at home, all year-round. 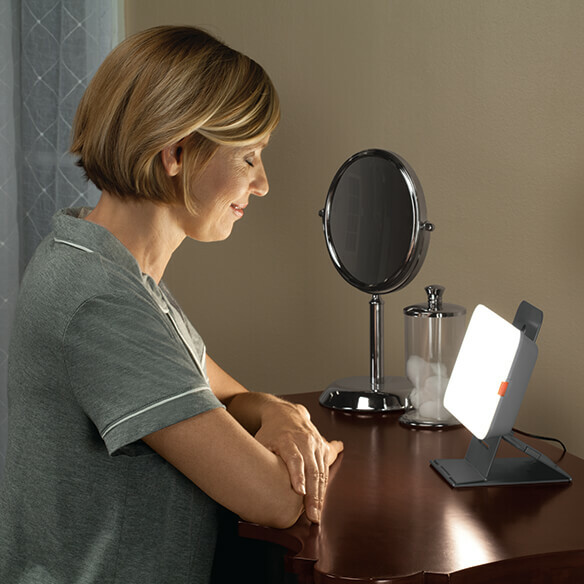 TheraLite® mood & energy enhancing lamp features advanced LED technology to help ease mild to moderate wintertime blues, jet lag or circadian sleep disorders. 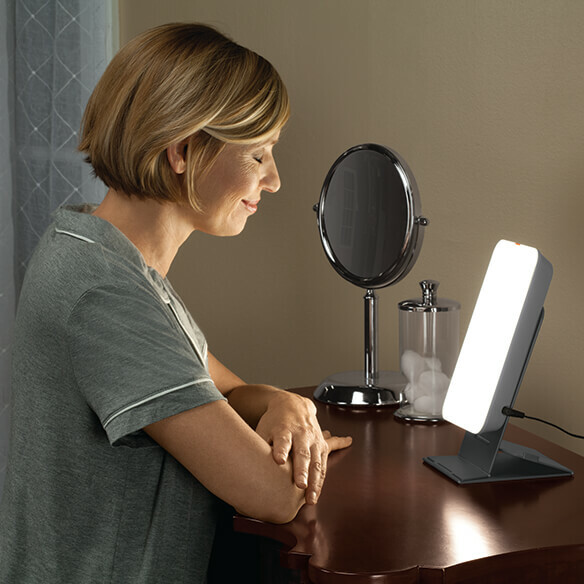 Simply unfold the LED lamp in its stand to your preferred angle (20, 25 or 30°) and relax in 10,000 lux (at 10") of glare-free white light without harmful UV. Stand folds into a carry cover for easy travel. Stand folds into a carry cover for easy travel. Lightweight polycarbonate mood lighting lamp. Approx. 9 1/4" long x 5 1/3" wide x 2" high when closed. 24V, 1A output LED light. 100-240V adapter and two-prong plug. How long do you sit in front of the light?